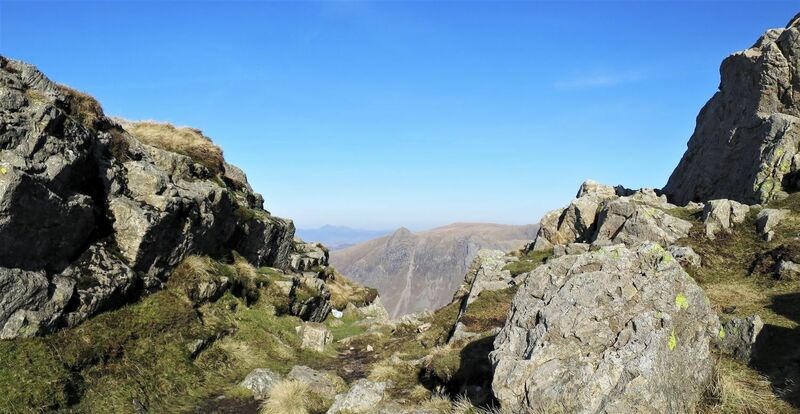 I wouldn’t normally add routes to the website that take the ‘easy’ option to reach the tops, but Cold Pike and Pike o’ Blisco from the summit of Wrynose Pass merits inclusion. 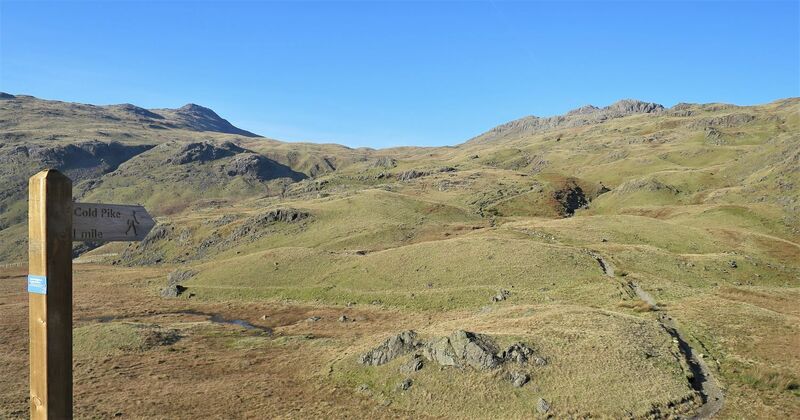 There are many interesting features on the southern slopes of these two fells, including an unnamed tarn, a “grotesque” rock splinter, and a “detached” pinnacle. The depression between Cold Pike and Pike o’ Blisco is Redtarn Moss, which is our first destination after leaving Wrynose. Fantastic path restoration! 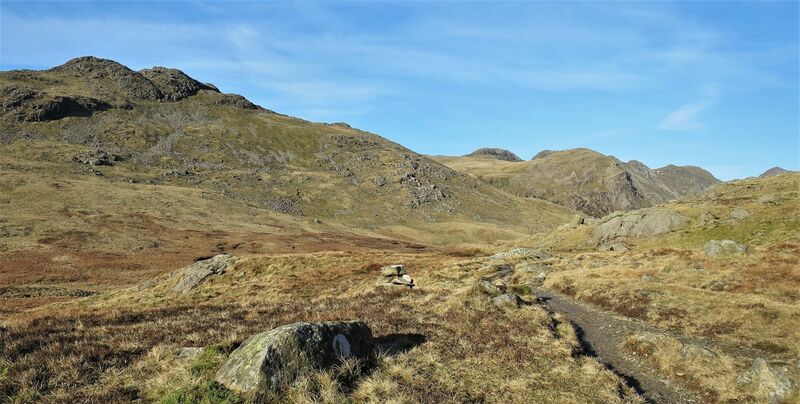 Over the years there’s been much path repair along this route, and there are three great examples of stone pitching to look out for: here on the approach to High Teighton How, at the head of Browney Gill, and on the ascent of Pike o’ Blisco from Redtarn Moss. 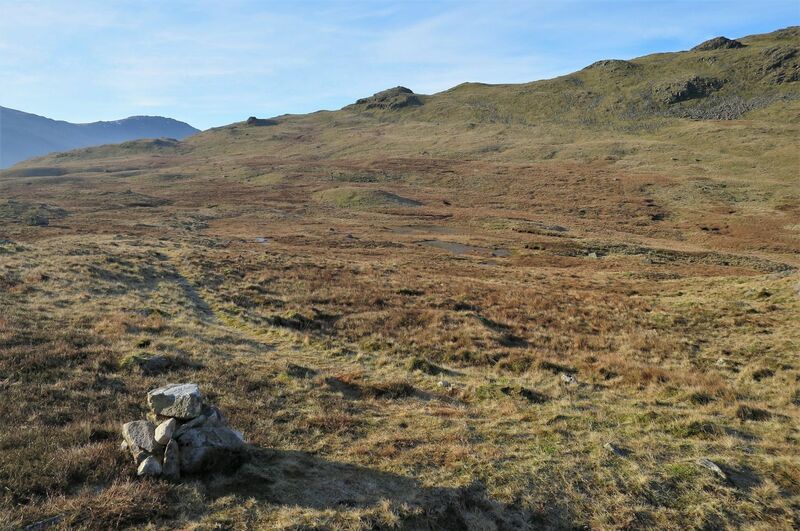 When the path approaches its highest point above Redtarn Moss, just before Red Tarn comes into view, a marker cairn on the left directs the way off the main route and towards the south-east ridge of Cold Pike. 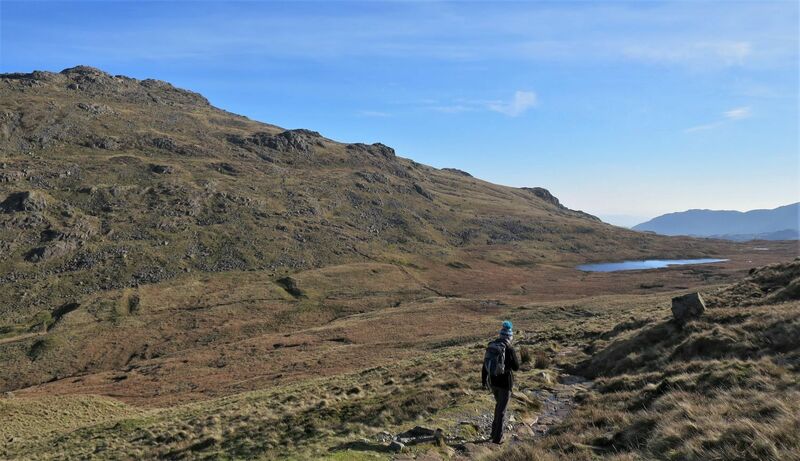 Here, we gain our first view of Crinkle Crags, Bowfell and Great Knott over the depression of Redtarn Moss, and the three rocky tops of Cold Pike are just recognizable. 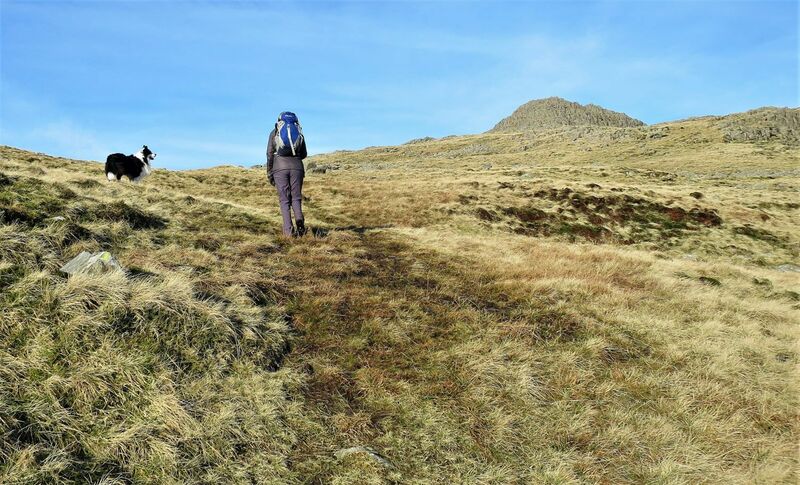 The not so well defined path curves its way around the head of Redtarn Moss towards the south-east ridge of Cold Pike, and avoids the wet areas including two small unnamed tarns. 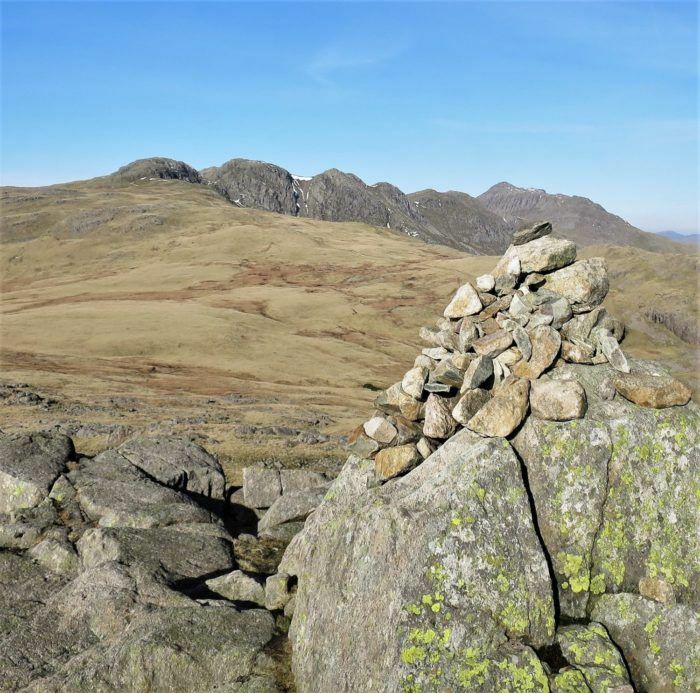 The cairn is a good marker…..well, it will be, we rebuilt it! Beyond the unnamed tarns, Red Tarn appears at the base of the depression between the slopes of Cold Pike and Pike o’ Blisco. Here, Cold Pike’s south-east summit appears over the ridge. The ridge is quite broad, but the route to the summit is without doubt; this is a lovely approach. As soon as you arrive onto the broad south-east ridge, the path curves right to head for the summit. 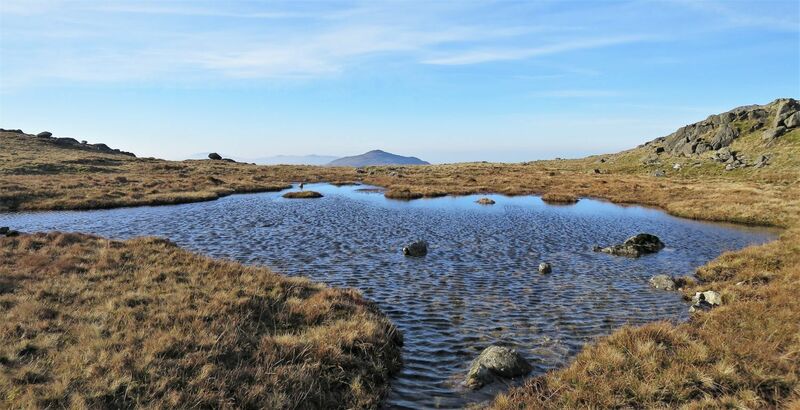 At that bend, this unnamed tarn can be easily missed; it’s a wonderful tarn to walk around. Here, the choice is yours; this is a pathless playground for the fellwalker and scrambler. The rocky plateau of the east summit is just a short distance away from the south-east summit. On these two lower plateaus, the cairns probably come and go more often than people. Sadly, any photos taken towards the south are poor due to haze or glare. Spot the dog! Whenever I leave my rucksack to wander and take photos, Frankie will not leave it; maybe it’s a pork pie thing? 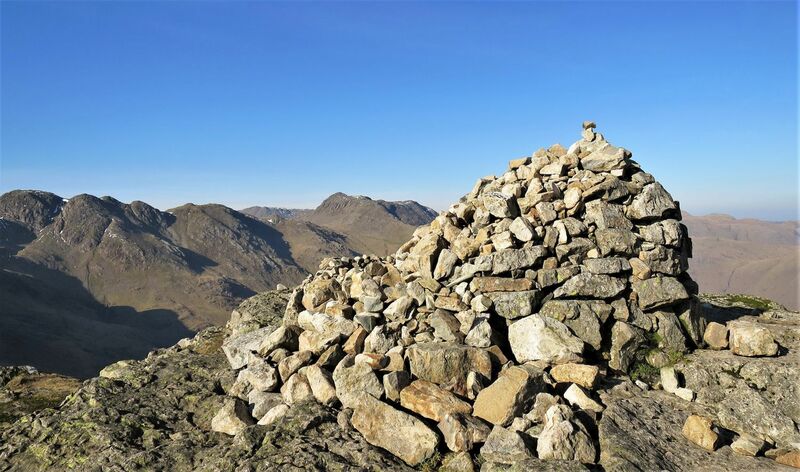 The true (north-west) summit of Cold Pike has a much larger cairn perched on its rocky plateau, and the views from there are splendid. 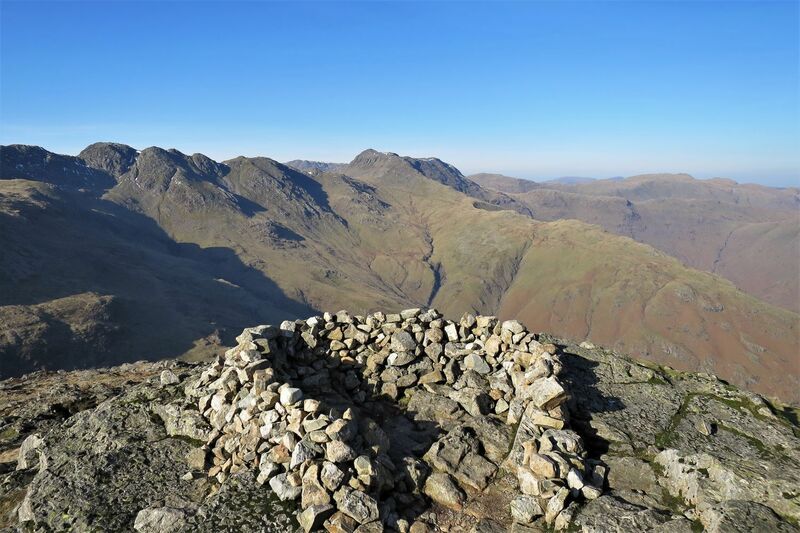 I love this view of Crinkle Crags and Bowfell from the north-west summit. We now take a detour to the ‘Cold Pike Tooth’. 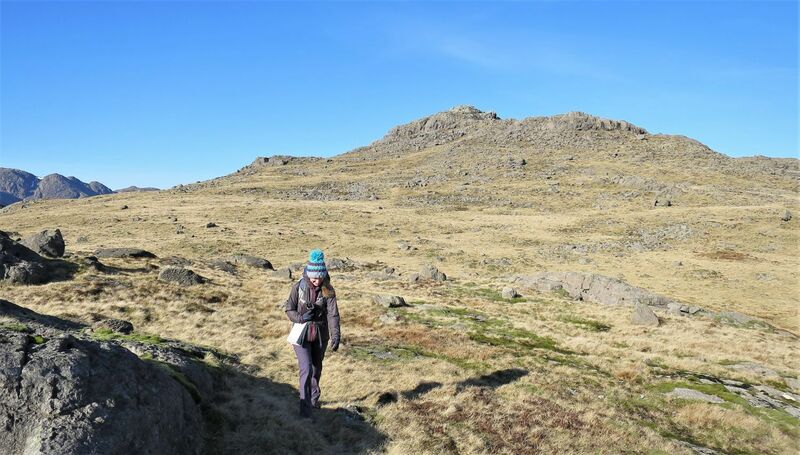 Having visited the ‘Cold Pike Tooth’ we now contour around the west of the summit crags and take a pathless route towards the head of Browney Gill; this is a lovely approach. 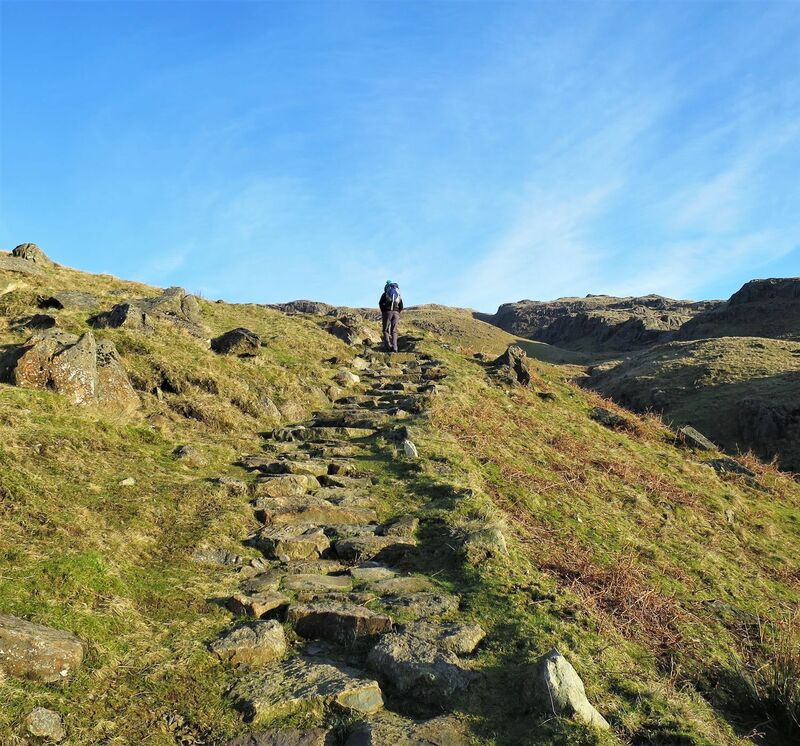 We now join the popular Crinkle Crags path that ascends from Great Langdale via Brown How, and follow it to Redtarn Moss before the ascent of Pike o’ Blisco. There has been much path restoration in this area, including some fantastic stone pitching; well done all involved! The path now curves its way into the depression of Redtarn Moss. Here, the ascent path of Pike o’ Blisco can be seen ahead. 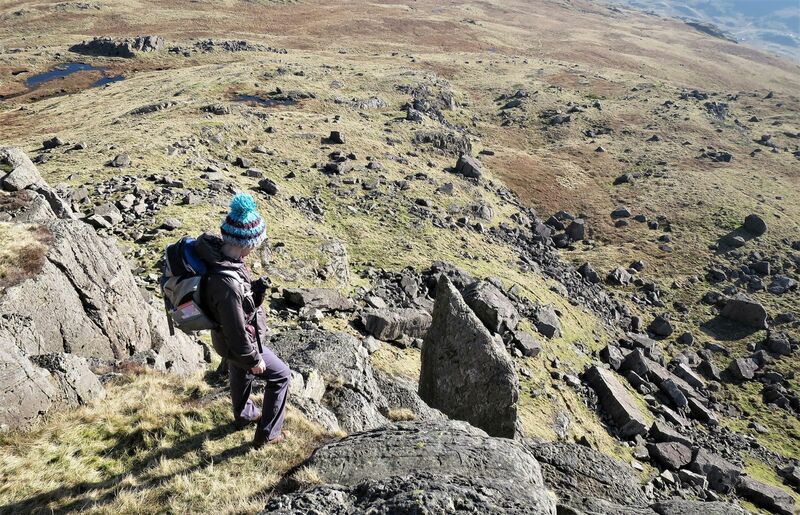 More fantastic stone pitching on the path that ascends from Redtarn Moss to the summit of Pike o’ Blisco. 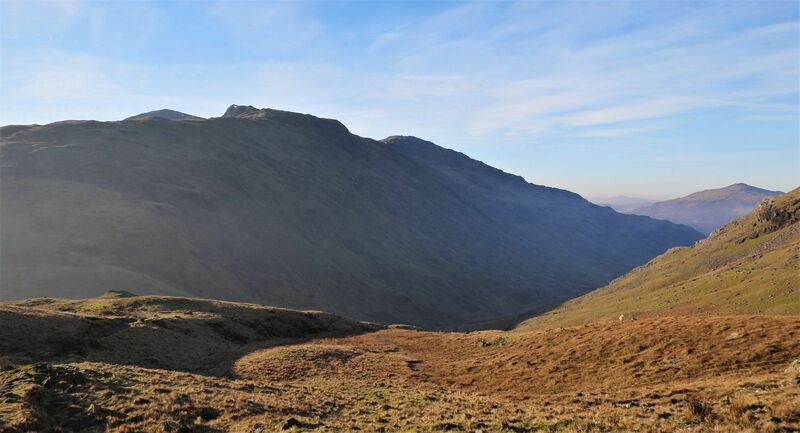 The upper western branch of Browney Gill and Great Knott can be seen on the left. 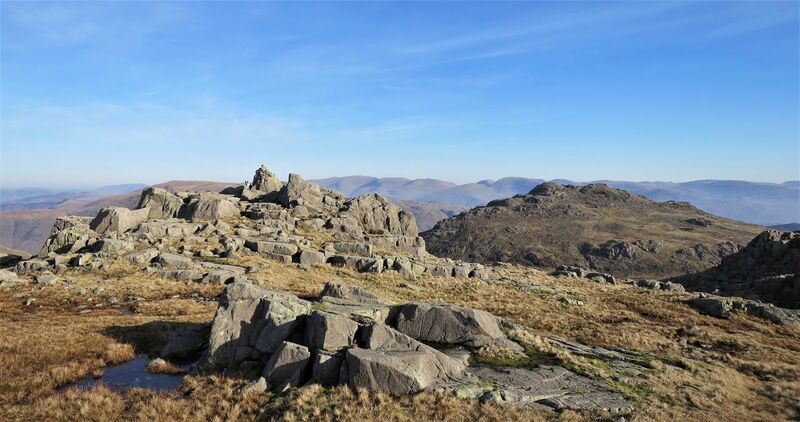 The three rocky summits of Cold Pike are more prominent from Pike o’ Blisco. 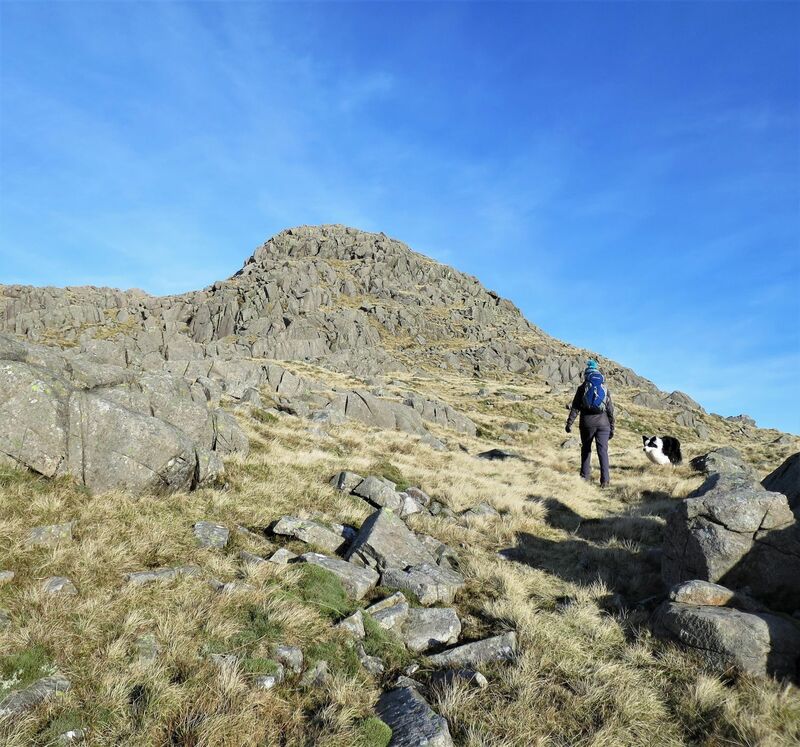 From the south-east top, we head down the southern face to the isolated rocky escarpment of Black Crag. 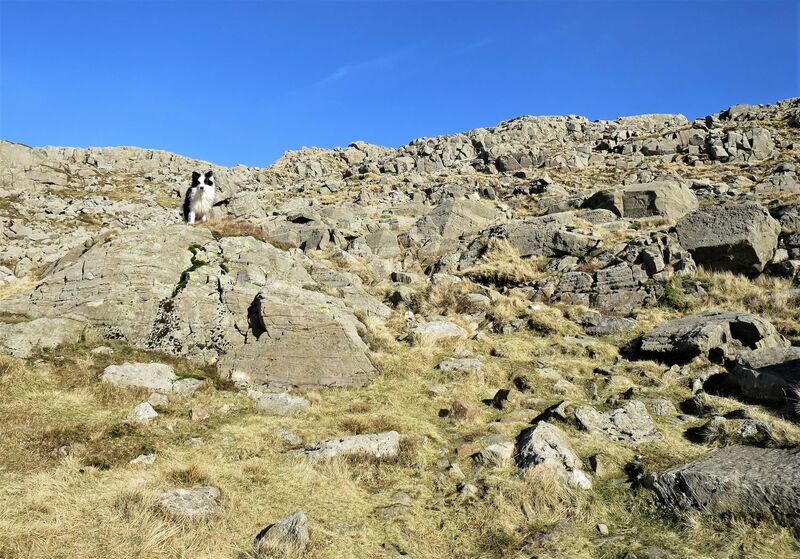 Initially, the route is pathless over rocky terraces, but a path appears lower down which then leads all the way to Black Crag. From the summit plateau, take a moment to visit the tip of ‘The Needle’. A series of rock terraces lead to the edge of the escapement, but please take care, a steep drop awaits clumsiness, and should only be attempted in dry conditions. 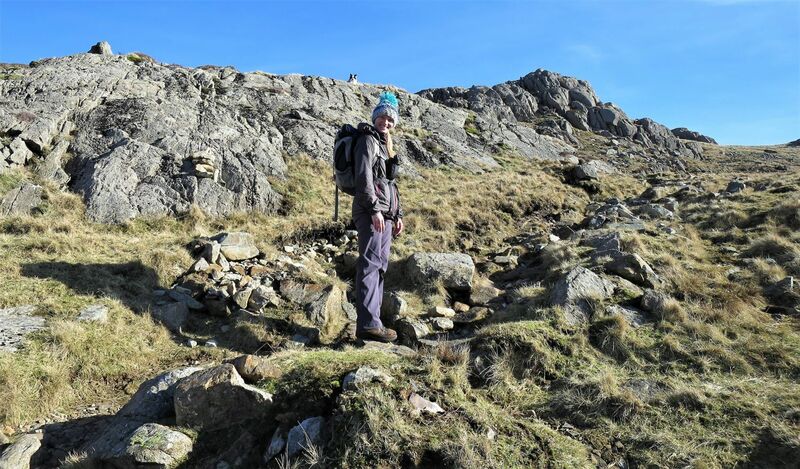 To be safe, retrace your steps back to the summit plateau, and then take a wide route (either left or right) around the escarpment to reach the base of the crag and ‘The Needle’. 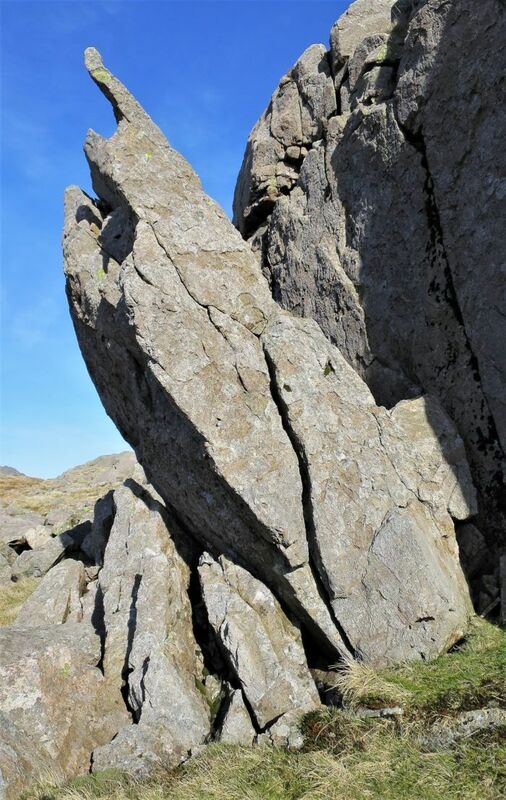 Even though this large boulder is near the base of Black Crag, it hasn’t simply fallen off the crag face, and instead is resting and perched on a small boulder by glacial ice. Long Scar, like Black Crag, is a popular climbing area. 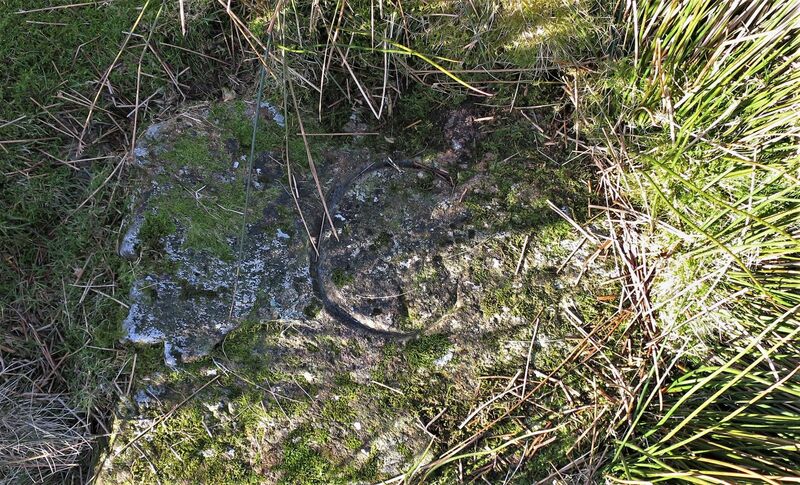 Another erratic boulder can be found above High Teighton How. This one had rested in an upright position, and at some point a sheepfold was built in its shadow. 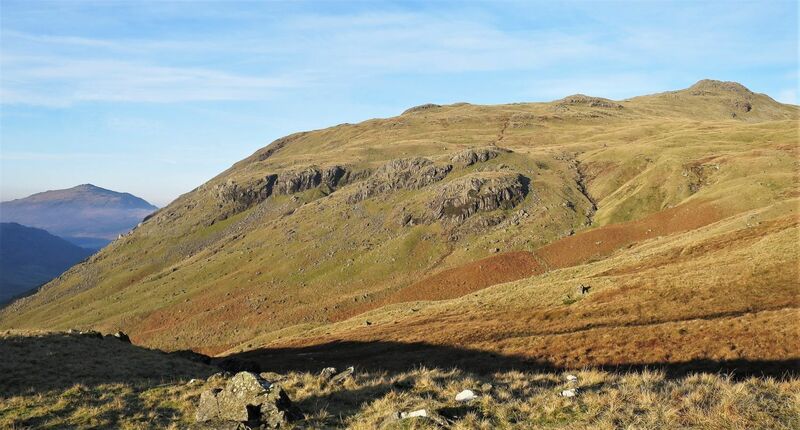 For its entire length of about 27 miles, from its source at Duddon Grains to the Irish Sea at Duddon Sands, the River Duddon formed the boundary between the historic counties of Lancashire and Cumberland. Since local government re-organisation in 1974 the River Duddon has been in the county of Cumbria. 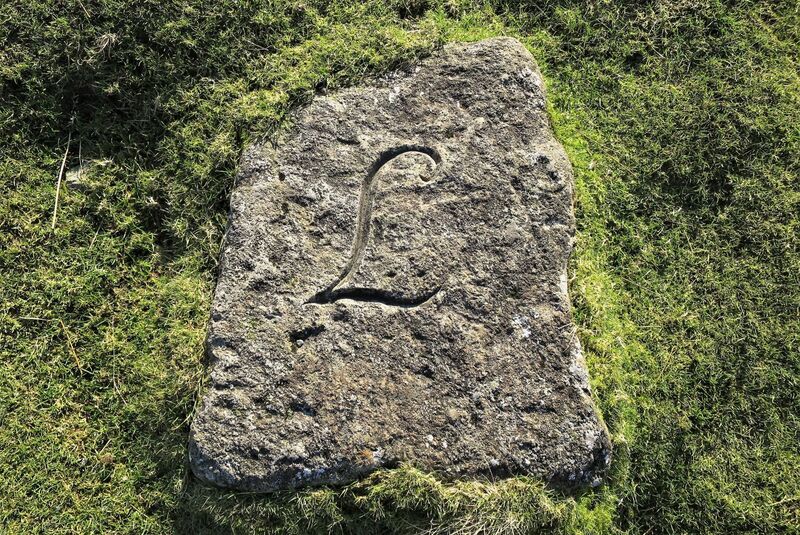 The ‘Three Shire Stone’, which stood near the highest point of Wrynose Pass, was a boundary stone that marked the location where the historic English counties of Lancashire, Cumberland and Westmorland met. 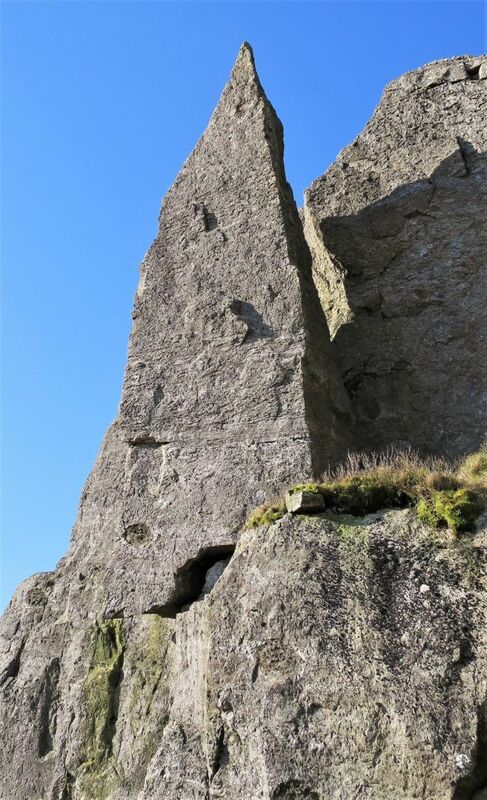 The limestone monolith was cut in Cartmel, Lancashire in 1816 for the Furness roadmaster William Field, however, it wasn’t erected until after his death in 1860. The front of the stone was inscribed with the word Lancashire, and on the back was the inscription W.F. 1816. 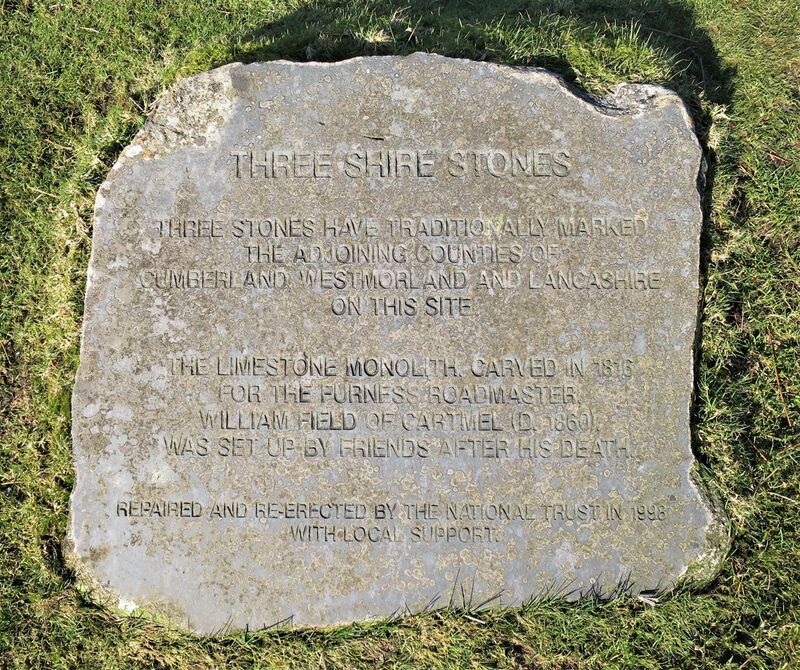 During the summer of 1997, the ‘Three Shire Stone’ was found smashed into four pieces, probably as a result of being struck by a car. Troutbeck Bridge stonemason Gordon Greaves was commissioned to restore it, and the unveiling ceremony of the monument took place on 27th April 1998. 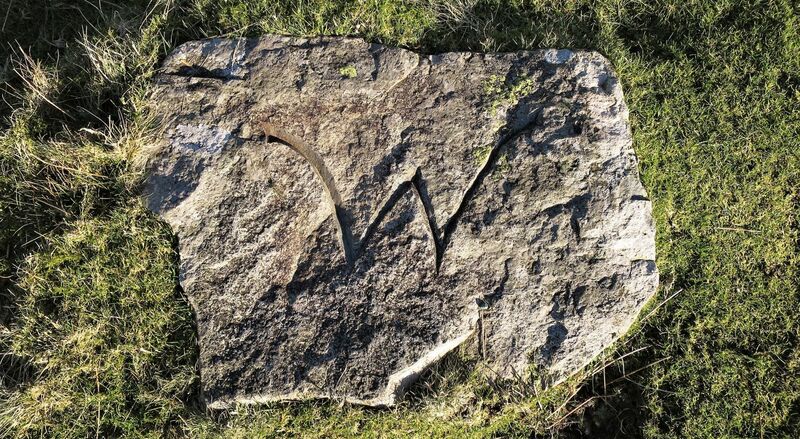 The National Trust moved the car park away from the restored stone, and placed three carved stones (Three Shire Stones) in the ground to mark the historic county boundaries radiating from it. 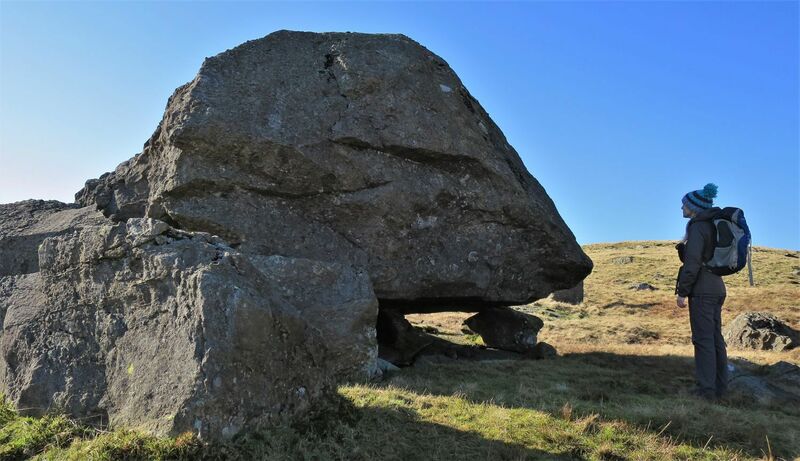 Unfortunately, the monolith was found fallen and damaged during the summer of 2017, and it is expected to take time for the National Trust to repair it; the repair is not straightforward, and is complicated by the fact that it is Grade II listed.